The 2014 Formula One season promises to be the most exciting in years because of the large number of regulation changes that have the potential to turn the grid upside down. The big story out of pre-season testing has been the failure of Red Bull, the champion constructor of 2010, 2011, 2012 and 2013, to not only show the same speed as its rivals but also manage to cover dozens of laps before breaking down. Red Bull driver Sebastian Vettel did manage to get through 77 laps on the fourth and final day of pre-season testing but his fastest lap time was more than four seconds slower than that of Mercedes star Lewis Hamilton and his new Red Bull team-mate, Daniel Ricciardo, was even more off the pace. Adrian Newey, the technical genius responsible for Red Bull having the premier car in Formula One from 2010 to 2013, has admitted that, in hindsight, it would have made more sense for him and his colleagues to focus on 2014 long before they did. Red Bull spent the second half of the 2013 Formula One season ensuring that Vettel had the best possible chance of setting a new record for consecutive race victories. Newey is a straight shooter so one can take it as read that Red Bull is in serious trouble and well behind Mercedes et al. It is incredible that Vettel is the Formula One title second favourite at odds of 5.00 with Bet365 and Coral. Vettel and Ricciardo are taking out more than 22 per cent of the betting market so one has to think that there is value elsewhere. This column is called Rags To Riches so rest assured that one is looking beyond the universal favourite, who is Hamilton at odds of 3.50 with Bwin. But not that far. One cannot really understand why Hamilton is trading at odds of 3.50 and his Mercedes teammate, Nico Rosberg, is available at odds of 6.50 with many bookmakers, including Sky Bet and Sportingbet. Hamilton finished fourth in last year’s Formula One championship, two places and 18 points ahead of Rosberg. But there is a school of thought that Rosberg is actually superior to Hamilton. Scratch beneath the surface of last season’s Formula One results and an interesting statistic emerges. It is a fact that Hamilton outperformed Rosberg in 10 of the 19 grands prix. However, if one excludes the three races in which one of the Mercedes drivers retired, Hamilton and Rosberg shared the spoils with eight triumphs apiece and the German had the better of last seven events by a significant 5-2 margin. One will concede that Hamilton is a faster driver than Rosberg but driving fast is only part of the Formula One equation these days. Conserving fuel and tyres is more important than ever before because of the rule changes and those are areas in which Rosberg is better than Hamilton. If one thinks that Hamilton represents value in Formula One title betting – and that is a perfectly reasonable view to hold – then Rosberg is even more attractively priced. 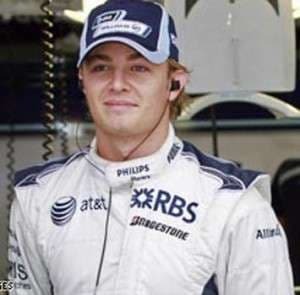 The Rags To Riches recommendation is to back Rosberg at odds of 6.50, although dutching the Mercedes drivers produces a bet that has a dividend of 2.27. That looks like a sound play. Certainly the Mercedes-powered cars excelled during Formula One’s pre-season testing program so, if one is looking for a futures bet at even longer odds, one could consider backing Nico Hulkenberg at odds of 15.00 with Bwin to finish the season in the top three. Hulkenberg was consistently among the fastest lap times at Jerez, including topping the chart on the first day, and his Force India team put a lot of miles on the clock during the four days of testing. 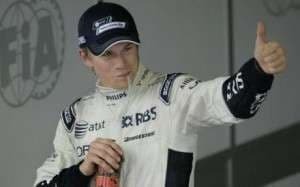 Hulkenberg has demonstrated that he is quick – he qualified for the 2010 Brazilian Grand Prix in pole position despite being behind the wheel of a Williams – and he could find himself in one of this year’s most competitive cars.